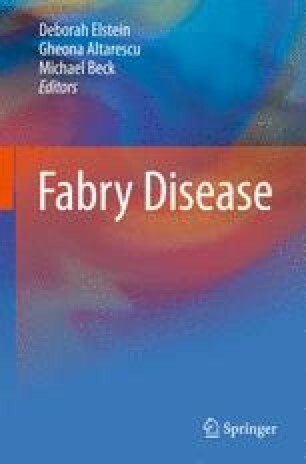 Treatment with enzyme replacement therapy in Fabry disease is successful in some, but not all patients. The presence of advanced disease, especially in the kidney or heart is associated with a less favorable outcome. Genetic and environmental factors that are known to play a role in the development of cardiovascular complications in the general population will probably put a patient with Fabry disease at a cumulative risk for disease progression. Apart from these patient related matters, the dose of enzyme as well as the formation of antibodies is discussed. Since antibodies interfere with surrogate markers such as levels of globotriaosylceramide in urine and endothelial cells in the skin, it is likely that they will affect clinical outcome. However, so far there is no evidence from clinical studies that this is the case.